As you may or may not know, we are representatives of the Children's Health Study, a program enrolling children ages 4 through full-time college students. In exchange for information --observational surveys completed twice a year -- the child receives free encapsulated or chewable pharmaceutical-grade fruits and vegetables, called Juice Plus+, when a parent or sponsor takes Juice Plus+ with the child. Recently, with our colleagues we celebrated reaching half a million children who have benefited from this program! We are proud to work with a Children's Health Study advisory board of esteemed doctors, including Dr. William Sears (see video below), renowned pediatrician and author, his son Dr. Jim Sears of the syndicated daily show "The Doctors," and Dr. Gerald Tulzer, the pediatric cardiologist who performed the first successful heart surgery on a baby in the womb. 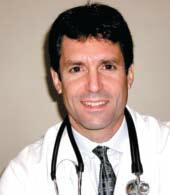 Dr. David Katz, an expert on childhood obesity who serves as health editor of Oprah Magazine and is director of Yale Medical School's preventative medicine program, also recently joined our board. Dr. Katz issues this sobering warning: "Children are more harmed by poor diet than by exposure to alcohol, drugs and tobacco combined. This is the first generation of children expected to have a shorter lifespan than their parents." Together with these doctors and thousands of others, we are striving to change the health status of our children and grandchildren and raise awareness of the importance of fruit and vegetable nutrition, but we need help. Would you be open to having a short conversation about this program? The health study may or may not be of interest to you, but we value your opinion and would appreciate your support and ideas on how we can reach more families who simply can't, won't or don't get the plant nutrition needed to protect their own or their children's health. We have reset our goal to reach a million families in the next five years. We are excited to be a part of this effort! We would love to talk with you about this for the New Year. If you have the chance to check out the website (www.childrenshealthstudy.com) before then, that would be great. Let us know if you, or anyone you know, has a child between the ages of 4 and full-time college age. You can drop us an email, a text, or give us a call. Meanwhile, please enjoy the video below featuring Emma Buckley, Nutritionist and TV Presenter.